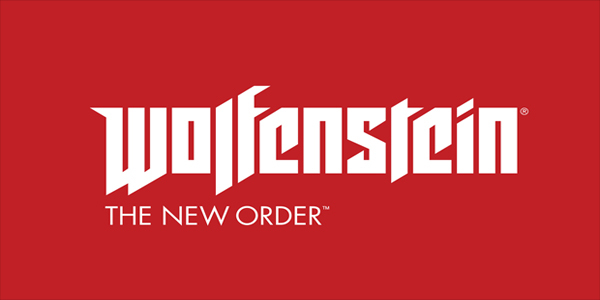 The PC launch for Wolfenstein: The New Order has been pretty rough considering the huge amount of issues most users have been reporting. Be sure to check the RPS article, and for more in-depth fixes visit our wiki article. The system requirements are surprisingly lower than expected and yet the game still manages to perform very inconsistently. Bear in mind that this report is based on testing using an Nvidia GPU, and I was not able to reproduce some of the major texture pop-in issues AMD users have been experiencing. The megatextures themselves appear to occupy almost 30GB in space, possibly more which might explain why the game requires around 45GB just to install. The very first video options menu is fairly standard, with a FOV slider up to a value of 100. It also provides a native borderless windowed fullscreen mode, multi-monitor users also have the ability of switching the game to another screen really quickly. Owners of 120Hz screens are going to be disappointed seeing as the game is by default locked at only 60FPS. The settings do feel a bit incomplete for a PC game, and some options are confusing or poorly explained. It even lacks any basic settings in order to disable most post process effects the game uses so there's not exactly much variety to pick from. The game features three presets, namely Low, Normal and High. Surprisingly there's no remarkable quality change other than a few textures looking sharper. Setting everything to max is pointless seeing as the framerate hit is certainly not worth the very small benefits it would grant. Disabling the VT Compression option should be avoided as it otherwise turns into a framerate hog which might even lead to huge stability issues along with the possibility of the OS itself crashing. The VT Cache should also be left to high or it'll otherwise cause frequent texture pop-ins to happen and the game will run a whole lot worse. The following settings don't seem to change the general look of the game that much, being a whole lot more balanced while also even barely changing the look of the game itself. The FOV cannot be set beyond a value of 100, though it can be curiously set to a value lower than 80 by using a specific console command. In order to change the FoV for the hands refer to the PCGamingWiki article. By default the depth of field cannot be disabled, it can either be set to Medium or High, but there is no real difference between the two other than High taking a higher framerate hit. The depth of field can be disabled through a console command, the command being cvaradd r_postprocessdofmode 1, refer to our wiki article for further instructions. Disabling the Depth of Field effect did not have a huge effect on my framerate other than making the game look slightly more sharper. The only areas where disabling this might grant a higher framerate are possibly very large open areas, but otherwise the game still runs very well even with the DoF effect enabled (on medium). The only differences I've managed to spot were some slightly different shadows on the main player's weapon viewmodel, otherwise it is a very expensive setting which will always most certainly make the game perform far worse than it should, disabling this option is almost a necessity in order to maintain a stable framerate. Areas full of reflecting surfaces such as the ocean from the very first level do not appear to be affected by this setting. We have not yet figured out where in the game this setting applies to. This is essentialy another framerate killer. Using the lowest value of 2048 does not appear to be changing anything at all. The differences between Low and Ultra are almost negligible, this setting did not seem to affect the framerate in any way otherwise. The anistropic filtering quality is controlled by this setting, although the game does not specify which values are being used through the options menu. The lighting did not seem to change either, being essentialy still the same everywhere. A few textures seem to be plagued by some very odd artefacts, setting this option to ultra does slightly mask some of the artefacts but they are still pretty visible even then. Another seemingly useless post-process effect which is supposed to create a distortion effect around certain distant elements, although it is barely noticeable and the most notable change was the skybox sun being slightly lighter. Even though it barely changed how my game ran AMD users may experience some performance issues with this effect turned on. The preset settings appear to have been very poorly set up. The lowest preset makes the game perform far worse mainly because of the VT Cache being set by default to Low, limiting the available cache space. This makes no sense at all seeing as all it would do is progressively cause even more frequently texture pop-ins along with huge framerate drops. However this might make more sense on quicker SSDs than on standard HDDs. Generaly my average performance was really good even though some of the loading times did take a while to finish (up to ten or twenty seconds per death) but otherwise there were no major issues which made the game unplayable in any way. Even the texture pop-in wasn't as noticeable as I thought it would be considering that it only took a second or so for the textures to quickly load. A pretty standard controls menu, every key is bindable, allowing multiple keys per button. The cover system felt far more comfortable with a controller, on a keyboard it becomes fairly awkward to use the manual cover system but it does otherwise still work fairly well. The game has native controller support for Xbox 360 controllers but users may only choose a different control scheme through a predefined list of presets. The audio settings are really limited, it lacks even the most basic sliders for the sound effects, character voices, the music and so on. The voice dialogues generally felt a bit lower than they should've been, not being able to adjust the volume level for the characters voices lead to some of them being almost inaudible, playing with subtitles always on was pretty much essential in order to be able to properly understand the dialogues correctly. The general performance is decent but there is clearly some room for improvement, more option settings would clearly help as otherwise the current options menu is really limited. Some options are fairly barebones compared to most PC games, although at least the keyboard and mouse support is well done. It is disappointing how little of an impact most graphical options actually do have but the really nice art style and the fun gameplay do make up for it. Fantastic work on the article raTcHeT302, look forward to seeing more from you. Personally I've found Wolfenstein's framerate extremely variable even running on medium settings, feeling like it's dipping into the 20s, despite running on a 770 GTX with a 4670K. I've also experienced a fair amount of texture pop-in, despite running an Nvidia card. It's a really weird game. I get almost flawless performance and next to no texture pop in, yet some people with practically identical specs get horrible issues.